Worries are growing about the fate of the two bishops kidnapped on April 22 near Aleppo, in Syria. More than a month after the kidnapping, there is still no news of the Greek Orthodox bishop of Aleppo, Boulos Yazigi, and Youhanna Ibrahim, the Syriac Orthodox metropolitan of the same city. 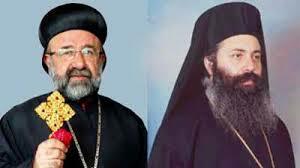 According to several sources, the two prelates were kidnapped in the village of Kafr Dael as they were trying to mediate on behalf of two priests kidnapped by rebel groups several months earlier. If, in the days following the abduction indignant responses poured in from around the world, the matter was not covered by the media. A silence that makes the Orthodox fear that the two bishops will be forgotten. In response to that call, the Orthodox community in France decided to mobilize to alert “the international community and French public opinion about the two kidnapped bishops, but also about all people deprived of liberty,” according to the words of the communiqué. At the initiative of the Antiochian Orthodox Archdiocese of Europe and the Syriac Orthodox church in Paris, a gathering is scheduled on Sunday, June 2, at Human Rights Square, Trocadero, Paris. Even if little information filters in about the identity and motives of the bishops’ kidnappers, some sources within the opposition have nevertheless repeatedly reported that the bishops are still alive. “The only information that is sure for us is that two or three days ago a doctor visited the two bishops. They are well,” declared to the press Abdalahad Steipho, a member of the Syrian National Coalition, the main opposition body, on May 26, at an opposition meeting in Turkey. For Hassan, a member of the community, who is attending the gathering on Sunday, “the initiative does not intend to be just for the community, but rather for humanity.” “All are invited to come. There will be Christians and Muslims,” he assures. This father, a dentist, does not hide his worry. “We hope that the bishops were kidnapped for profit, as is the case with many Syrians, and not because they are bishops,” he confides. “We want to attract attention to these two persons, but through them to all those who are kidnapped in Syria,” Hassan explains. Kidnapping has, in effect, become commonplace in Syria. Many have had to pay exorbitant sums in order to obtain the freedom of a family member from armed groups. Cited by Le Figaro last February, the Syrian Minister of Reconciliation evoked “an large market.” He estimates at 5000 the number of people kidnapped by one side or the other or by bandits who take advantage on instability in order to make money.